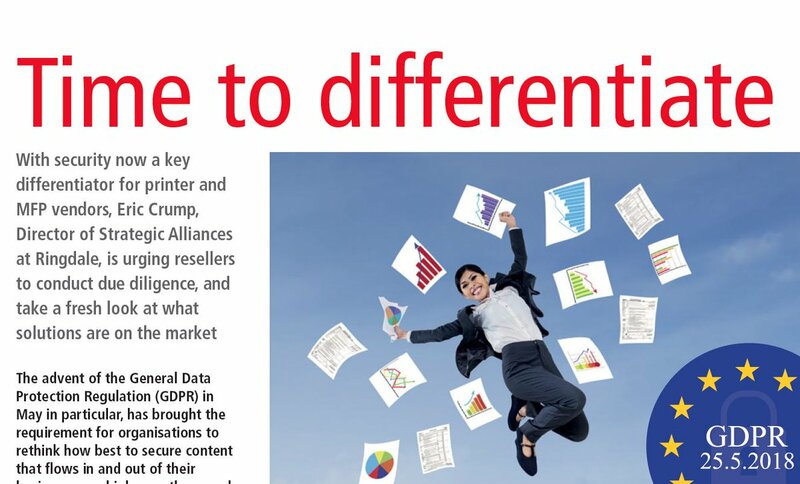 Take a fresh look at Ringdale with the FollowMe Print Interview | Industry Analysts, Inc.
Print IT Reseller recently published an article focused on General Data Protection Regulation (GDPR). In the article, Print IT Reseller interviewed Eric Crump of Ringdale, who discussed security and what dealers need to do to make sure they’re keeping up. This entry was posted in Ringdale and tagged followme, GDPR, ringdale by andyslawetsky. Bookmark the permalink.